Since late 2017 price surge, Bitcoin has been on a downward spiral. Sure, at some points, it managed to recuperate some of its former value, but it was never close to its all-time high of almost $20,000. 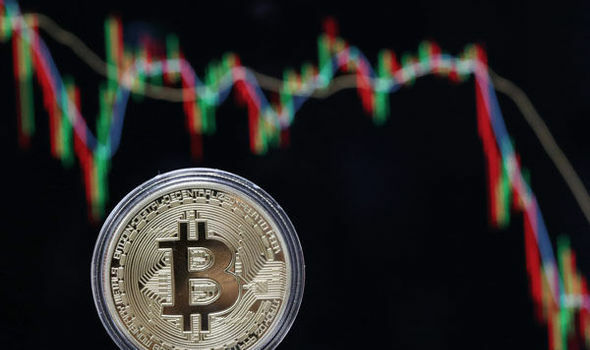 However, March was particularly harsh for Bitcoin enthusiasts, as the granddaddy of cryptocurrencies went below $8,000. Many speculations were floating around about why it dropped so much. Some were saying that recent decision from the governments of Japan and US caused the crash. If you are not familiar with these decisions, here is a quick rundown. First, the government of Japan issued punishments for some cryptocurrency exchanges, even closing two of them for a month. Second, the U.S. Financial Crimes Enforcement Network announced that anyone who is selling ICO tokes would be considered as an unregistered money transmitter. Many think that the actions of both governments caused Bitcoin value to drop. But did they? While there is no doubt that these decisions had some effect on Bitcoin, they are probably not the reason why it dipped as much as it did. However, recently some US tax experts have come out with a theory that offers a more reasonable explanation. According to them, US investors are selling off their Bitcoins because they are trying to game the tax system. You see, in the US, cryptocurrencies are classified as properties, and they have special taxes for them. If you sell your property within a year of acquiring it, you are gaining a short-term capital gain. This means that you will receive up to 39% tax. On the other hand, if you keep your property (in this case cryptocurrency) for more than a year and then sell it, you will receive a lower tax rate – between 15% and 23.8%. The final piece that connects all dots is the end date for all US tax submissions. It’s April. So, it seems that the majority of US investors are selling their coins before the tax filing deadline, resulting in a Bitcoin price drop. Of course, this is not the only factor that is harming cryptocurrencies. Another low blow came from Google just a couple of days ago. They decided to ban all ads that are advertising cryptocurrencies, wallets, and ICOs, including the ones for Bitcoin dice and poker sites, as well as for other cryptocurrency gambling platforms. It’s hard to say when will Bitcoin start to recover, but it looks like it won’t be before the end of April.